Adrianna Rochester, a journalism student at Southern Connecticut State University, reported this story as part of Journalism Capstone coursework on World War I. The Colt Firearms Manufacturing Co. put Hartford on the map as a munitions producer during World War I. 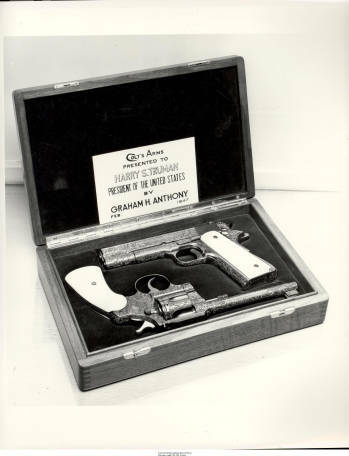 In fact, the U.S. Department of Army, used the Colt .45 as its standard sidearm during the war. Samuel Colt became the first American to open a manufacturing plant in New England. Colt purchased land in the South Meadows section of Hartford, where he built Colt Armory. By August 1855, the factory was fully operational, according to company records on file at the Connecticut State Library. 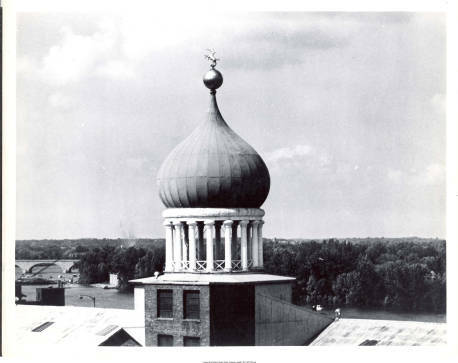 The 630,000-square-foot complex is easily recognizable for its blue onion-shaped dome atop the East Armory Building visible from Interstate-91. Soon after the United States entered into World War I, Colt collaborated with John Moses Browning to develop machine guns more powerful than earlier inventions. Together the two designed many weapons, including The Browning Auto Rifle and the Model 1911 (also known as the Colt .45). According to Colt records, the company produced about 425,000 automatic pistols, 151,700 revolvers, 10,000 Brownings and 13,000 Maxim-Vickers machine guns during World War I.
Colt continued to manufacture weapons during the post war era. Colt revolutionized firearms manufacturing in the nation. 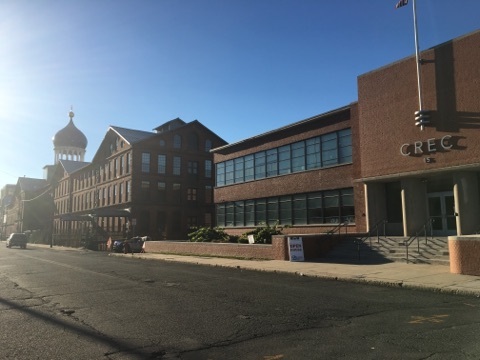 The Colt Industrial District, along with the houses owned by Samuel Colt and James B. Colt, are included in Connecticut’s listing on the National Register of Historic Places. Colt Armory closed its factory doors in 1994 and moved its operations to New Park Avenue in West Hartford, Conn. where the company continues to produce today. The onion landmark is now known as Colt Gateway, a series of luxury studio, one- and two-bedroom apartments located in the North and South buildings of the complex. Other buildings have been turned into office space, which includes a software company. Construction to restore and renovate the Colt complex was done by the CG Management Co., LCC. Other buildings were renovated into a school for autistic children and the offices for CREC, a regional magnet school system.